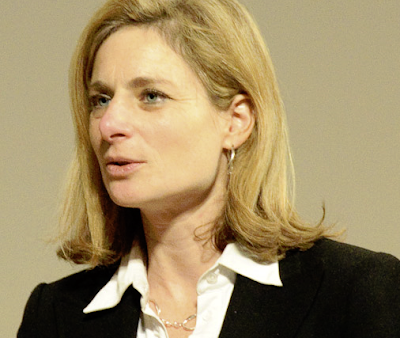 Dr. Lisa Randall is a professor of physics at Harvard University. Her primary areas of study are particle physics and string theory. A theoretical physicist and cosmologist, she is considered by some to be one of the most influential living scientists and her papers with Raman Sandrum on high dimensional space are among the most cited in the field of physics. Dr. Randall has appeared in many scientific television programs and toured extensively to promote her book "Warped Passages". In the February 2007 Discover Magazine, Dr. Randall stepped outside her high dimensional world and commented on her experience traveling in the Galapagos Islands. In a field dominated by men, Dr. Randall is a role model for women throughout the math and science world given her many first. 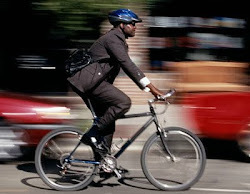 Many insiders joke that she's living proof that you don't have to be a geek to be a scientist. 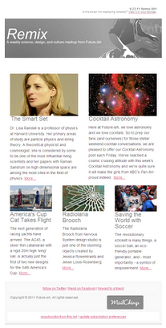 Future-ish added Dr. Lisa Randall to our PISA List in 2009.